Have you ever read MissWhoever You Are? If not, let me tell you -- you are seriously missing out. The fabulous Eileen Dautruche is such a great writer, and is really knowledgeable about beauty. And she's so gorgeous that during Fashion Week, she's often mistaken for a model instead of a reporter backstage! (I've actually seen it happen!) Read on to discover more about Eileen's passion for beauty, the mascara that's taken over her makeup bag and so much more. I am from Brooklyn, NY-born and raised (except the two years I lived in Haiti with my grandparents/aunts/cousins). I currently go to Iona College and I am studying Communications (with a concentration in Public Relations). I can probably quote all of Legally Blonde (1 and 2) and I pride myself on my insane knowledge of songs by Pat Benatar and Joan Jett -- even if I wasn't around much for the 80's. It sounds so cliché but it all started with my mom. I used to watch her get ready in the morning before I went to school and I marveled at how amazing she looked with makeup on (she only wears red lipstick). I was nothing in my school uniform and hair bows compared to her. Once I got a little bit of pocket change, I'd go to Rite Aid for my BonneBell Lip Smackers and j.a.n.e eyeshadows (I was never allowed to actually wear it but just having it made me feel good). Once I started working at 16, I'd blow my paycheck at the beauty counters in Macy's and M.A.C. Honestly, it was a combination of boredom and the need to vent. I had nothing to do and my friends can't stand talking about fashion/beauty/makeup for more than five minutes. I, on the other hand, can go for days! Also, I was tired of the same old advice magazines gave women of color ("Wear blue eyeshadow to make your eyes pop!" yeah okay...) I wanted to talk about how hard it is to get the right foundation for girls beyond "Honey" or "Caramel" skin tones. I used to read blogs and figured why not start my own, these women have. Haha, thanks! 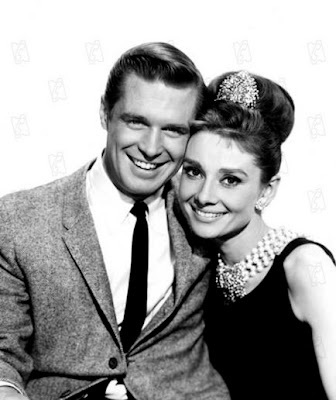 Again, I was bored and this wasn't a well thought out process when I started my blog :) I had just watched Breakfast at Tiffany's for the millionth time and in the end Paul Varjack (George Peppard) called Holly Golightly (Audrey Hepburn) "Miss-Whoever-You-Are." It was/is probably the best quote on love I had ever heard ... so I stole MissWhoever You Are. "You know what's wrong with you, Miss-Whoever-You-Are? You're chicken. You're afraid to stick out your chin and say, 'Okay, life's a fact.' People DO fall in love. People do belong to each other. Because that's the only chance anybody's got for real happiness." Wow, where do I start?!! I have met some really amazing people in the blogosphere. Beauty bloggers are some of the nicest people I've ever met and I definitely love the fact that I can call some of them my friends. I love that I'm not the only one who gets excited when a new lipstick comes out. Attending Fashion Week is another "OMG" moment. I get to interview Diane Kendall and Jan Arnold in between going to class. But, hands down, I'd have to say getting an internship at Lancôme has been the highlight of my LIFE! It's been the most amazing dream come true -- being surrounded by such inspirational and intelligent women who all love beauty. I've learned so much and the semester isn't even over yet. I kind of don't want it to end! This is the one time I wish a semester was a year long! 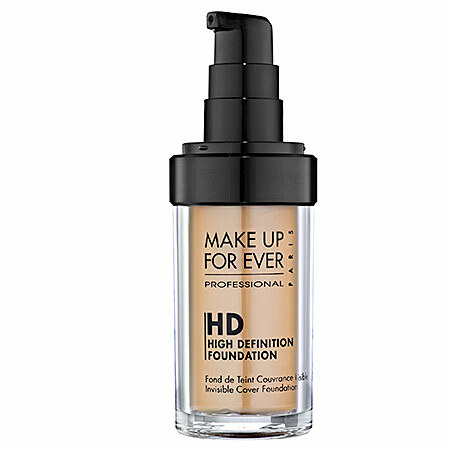 1) I'm a foundation junkie, so I have to say Make Up For Ever HD Invisible Cover Foundation. That baby covers up everything and gives the most flawless finish I've ever seen. 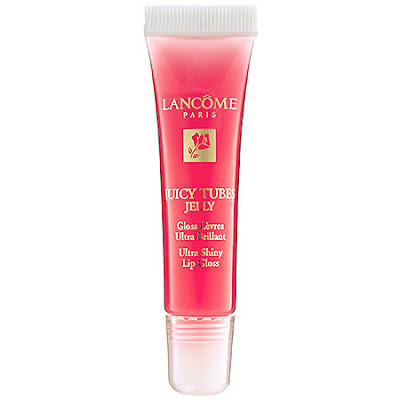 2) Lancome Juicy Tubes. No I'm not just saying this because I intern for them, haha. I've had a love affair with Juicy Tubes for a while now. I love how glossy they are. I'm a product of the 90's so full-on gloss is my thing. I own more Juicy Tubes than any other beauty product. 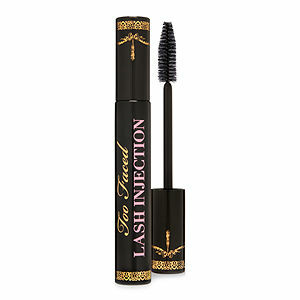 3) I'm obsessed with Too Faced Lash Injection Mascara and have been for two years. Lately, Lancome Oscillation Mascara has taken over my makeup bag but if I'm doing my makeup on the train (which happens a lot) I go sans vibration with Lash Injection. 4) Lumene ExCELLent Future Deep Repairing Cream. This product is recommended for women over 30 but I'm trying to beat the system and prevent wrinkles and all that jazz now. This cream feels ahhh-mazing on my skin. My face literally drinks this stuff up. I definitely recommend it to anyone looking for a glow and protecting their skin at the same time. 5) Lastly, good ol' fashioned Carmex. I don't know what I'd do without it. I'm a beauty polygamist so this list will probably change within a few months. M.A.C. Their brushes are insane! Okay so this will never change, I will always and forever go to M.A.C for my brushes. Make Up For Ever. They've got us brown girls covered in the foundation department, so I will remain loyal. Maybelline. I've become such a total snob but I run back to Maybelline. Hands down best drugstore foundations ever. And don't get me started about their Color Sensation lipsticks. And yep ... you've guessed it, Lancôme. Since being there, I've seen a whole different side to the brand. I love it and the products are amazing. I love how innovative the company is with makeup. And they're French. I love the French.